At this year’s ALA Annual Conference, I purchased this tiny (approx. 2.5″ x 4″) original doodle by Janet K. Lee. 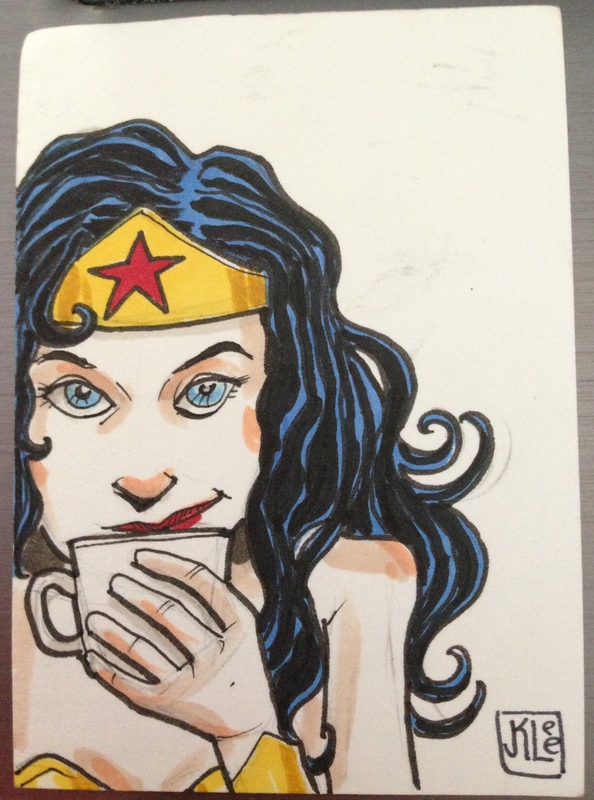 I like Wonder Woman, and it’s cute. But I also bought it for another reason — it reminds me of another small (approx. 1.75″ x 5″) piece of artwork by giosdesk that I bought at a zine/small press convention in the Philippines last December. He did a series of illustrations of superheroes as street children. 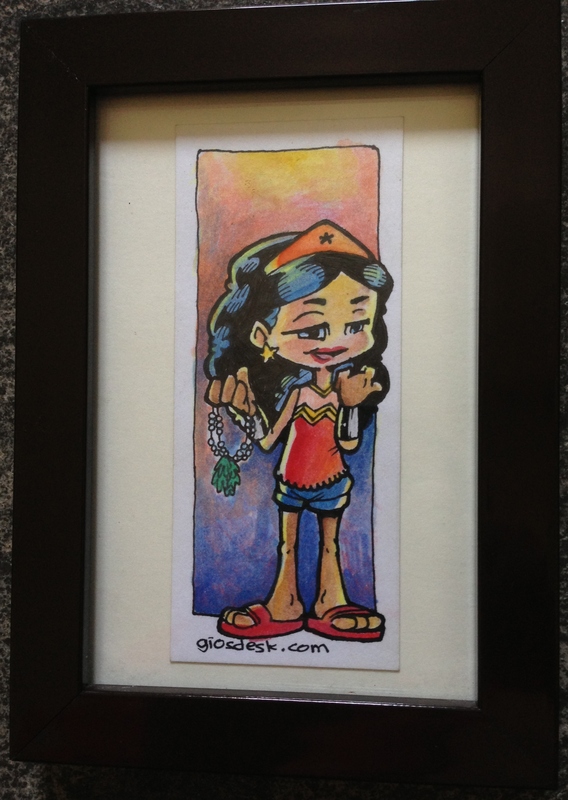 This is Wonder Woman as a girl selling sampaguita garlands. Together, these two works provide quite a contrast, with First World Wonder Woman enjoying her coffee before presumably starting her day as a superhero whereas Third World Wonder Woman is a little girl who has to sell flowers for a living. Talk about different perspectives, right?